From this tutorial will share you step by step on how to unlock your pocket mobile of wifi router pocker.You need to get your IMEI Unlock Code here before you follow the step below. 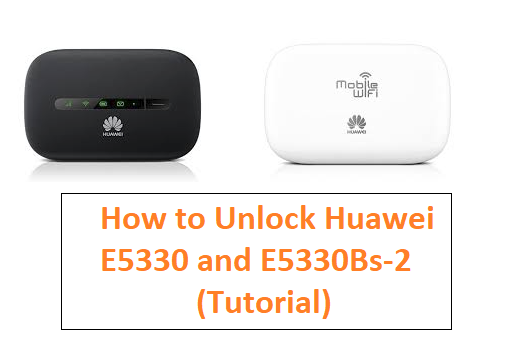 How to Unlock Huawei E5330 & E5330Bs-2 Mobile WiFi Router? 1. Change the default SIMCARD with another simcard carrier provider (Insert SIM another than Globe like SMART, SUN and etc in your mobile wifi router). 3. Login to E5330 Bs-2 dashboard (use 'admin' as username and password both, if you have not already changed it but if you alaready change it use your assigned username and password). 4. You'll just wait and it will redirect you to unlock page. 5. If case not getting option to insert unlock code then go to and login to your device’s dashboard homepage. Viola!!! Now your Huawei E5330 (E5330As-2 or E5330Bs-2) mobile WiFi router is permanently UNLOCKED. Now you can configure the profile with correct APN(access point network), as per new sim card, and connect to the internet.